Capture all the wildlife action and do some serious scouting in the field this season even when you can't be there with the help of the Stealth Cam G42NGNC 10MP HD Video IR Game Trail Camera. This 10 megapixel game camera features video recording from 5 180 seconds and 42 No Glo invisible infrared emitters for crisp images day or night. It includes EZ Dial programming with with QuickSet capability as well as burst mode and time lapse with PIR override. Every photo includes time, date, moon phase, and temperature data imprints. 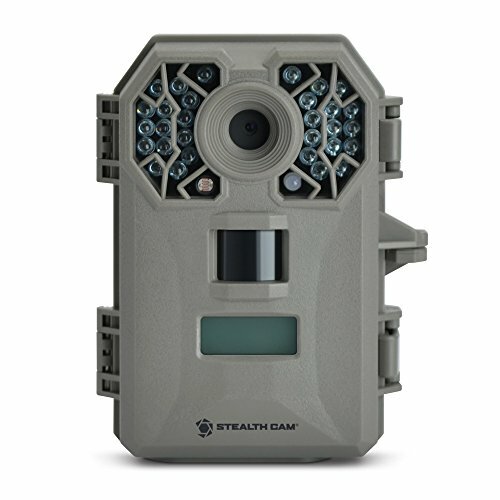 For the best shot at the best shot next season, find out exactly how your game is moving with the Stealth Cam G42NGNC 10MP HD Video IR Game Trail Camera.